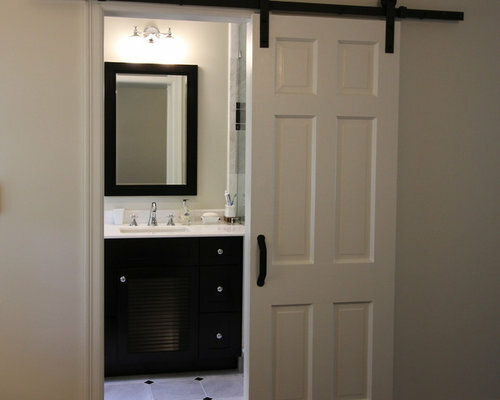 An original door was repurposed and mounted with barn door hardware. 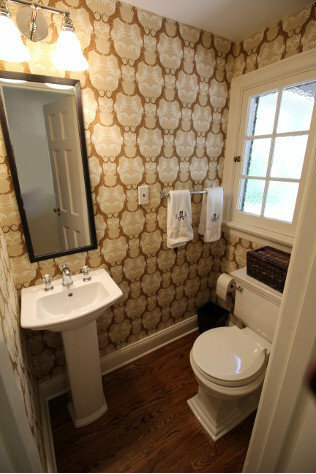 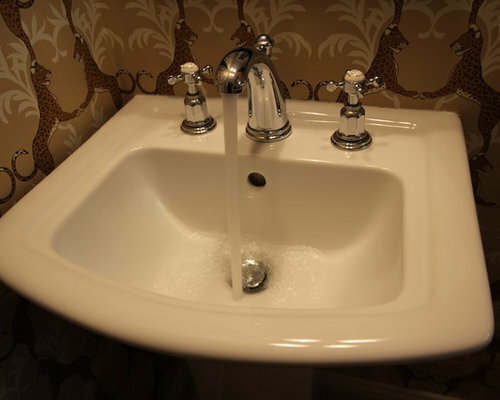 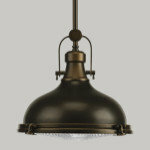 An Amish handmade vanity is beyond in the Master Bathroom. 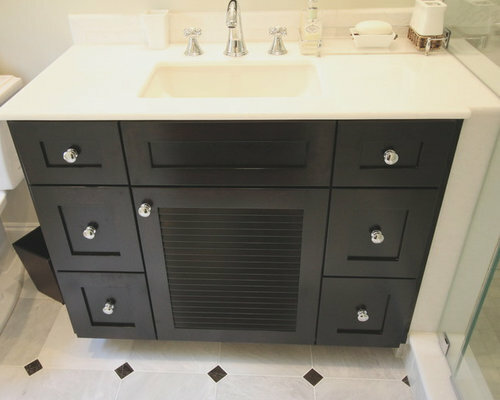 An espresso custom handmade Amish vanity from maple. 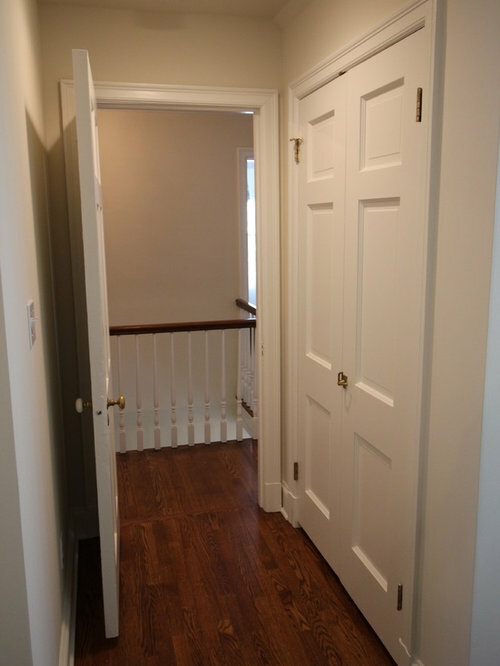 It's 36" wide with a louvered door and 6 drawers. 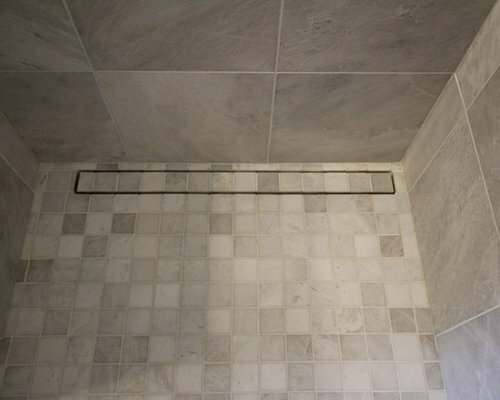 Master Bathroom shower with frame-less linear drain with marble tiles. 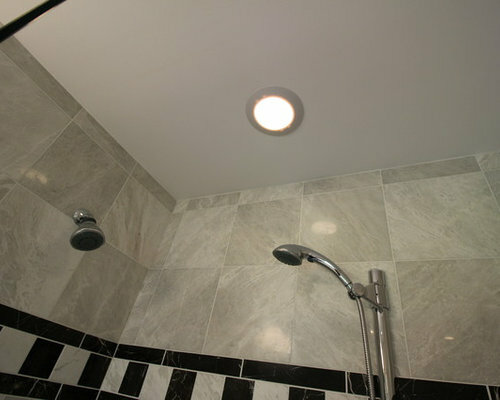 Marble floor to ceiling tile in the shower, a recessed light, with a wall shower head and a slide bar with a handheld wand. 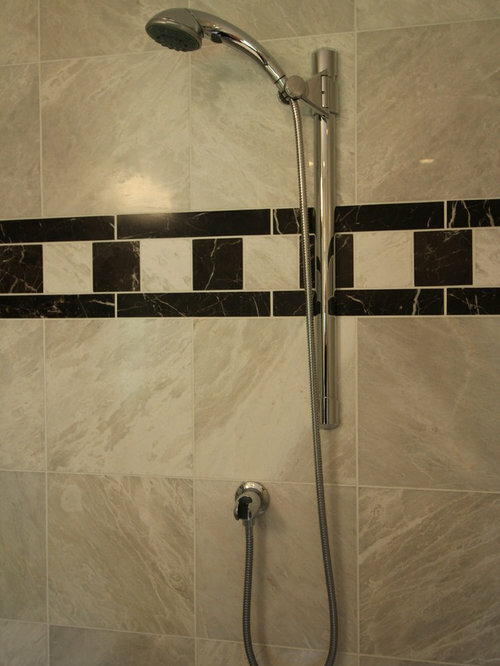 Shower has custom marble tile inlay with Grohe shower head and Grohe shower valve with independent volume and temperature control. 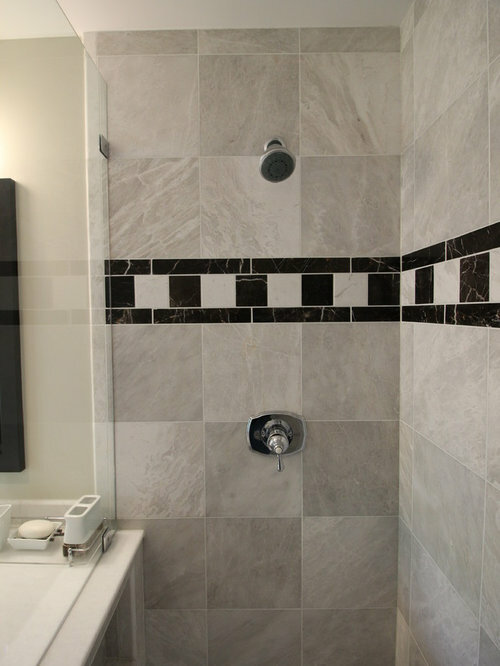 Notice the counter top is continuous into the shower with a concealed niche in the half wall. 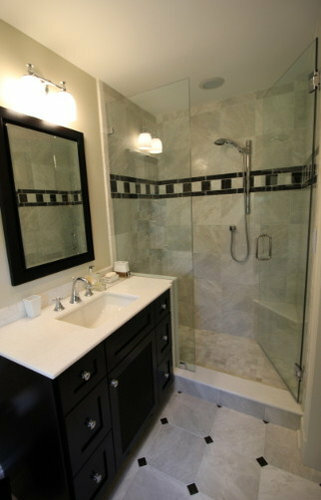 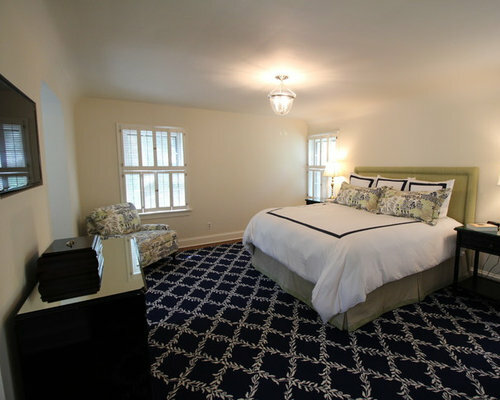 Remodeled Master Bathroom has marble tile in the floor, shower floor and walls. 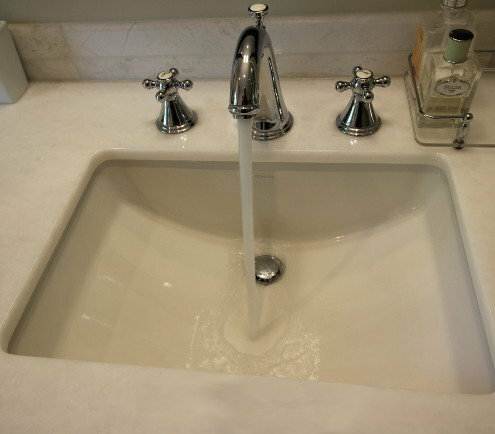 The vanity counter top continues into the shower with a half wall separating the vanity and shower which conceals a storage niche. 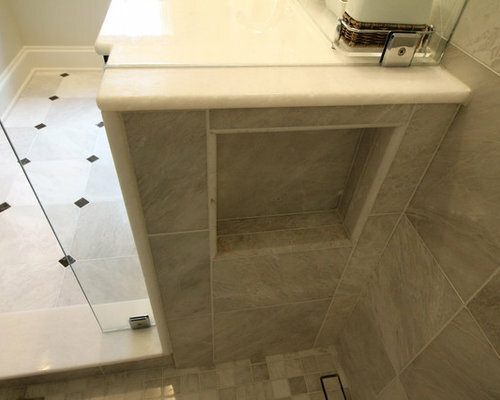 Shower features a custom shower pan with a trough drain and marble tile on the floor and wall with a built-in corner bench. 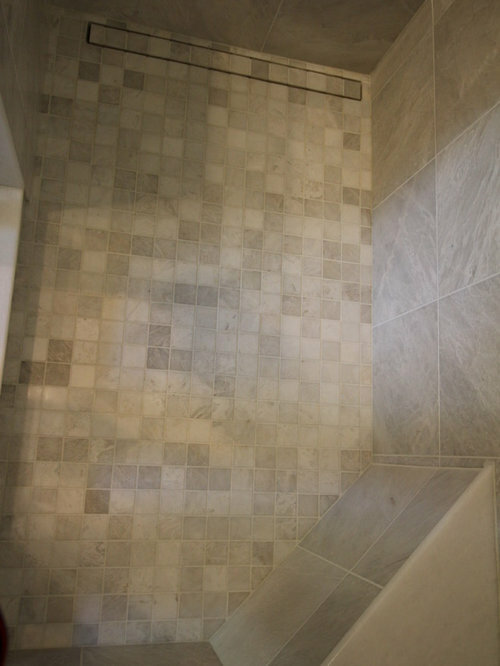 Marble floor with custom cut gem inserts from St. Laurent stone that matches shower inlay. 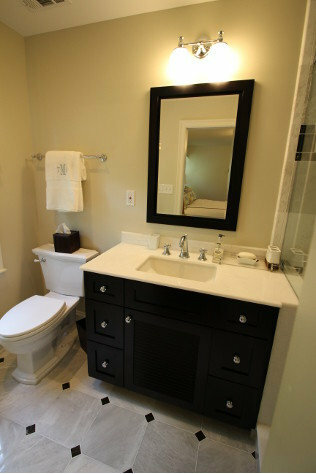 Custom built Amish vanity with a marble counter top and under mount sink. 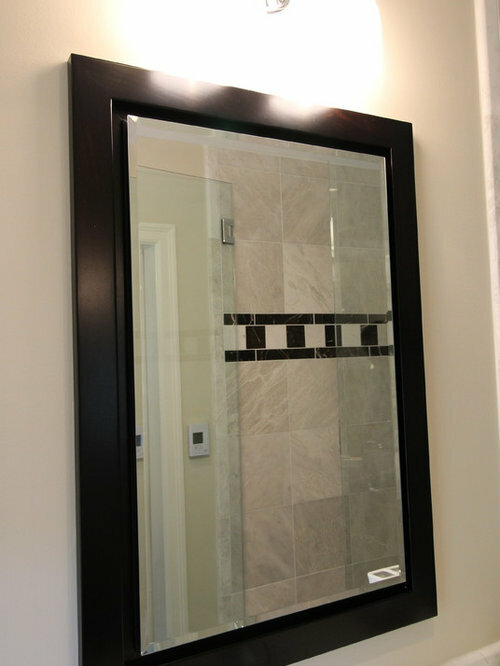 Roburn mirror with handmade Amish frame which matches the custom made vanity. 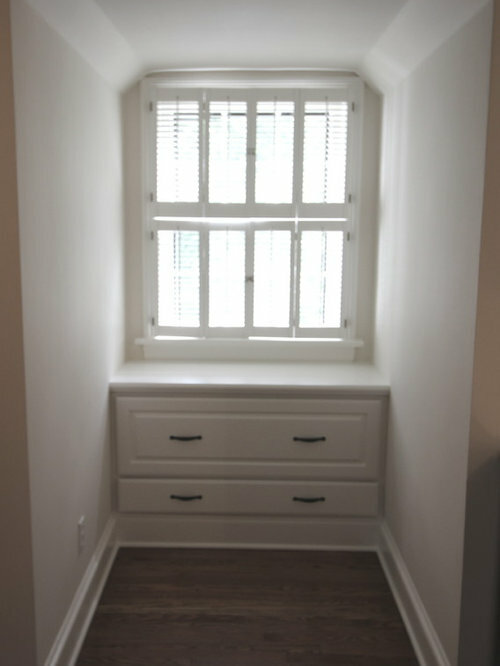 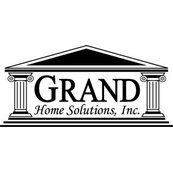 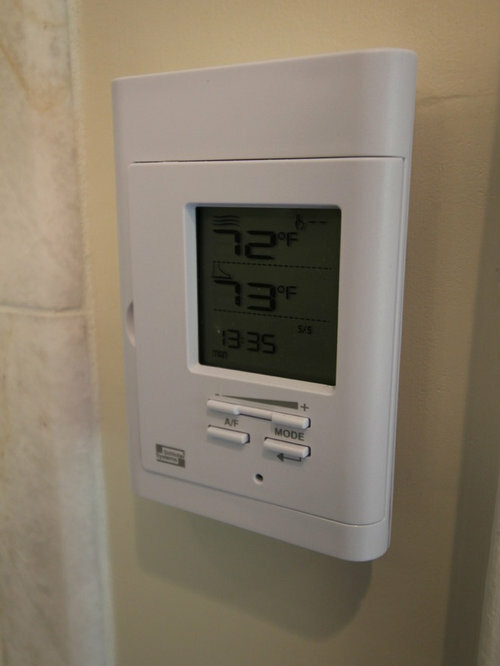 Dormers have new built in storage which were custom made to look original.